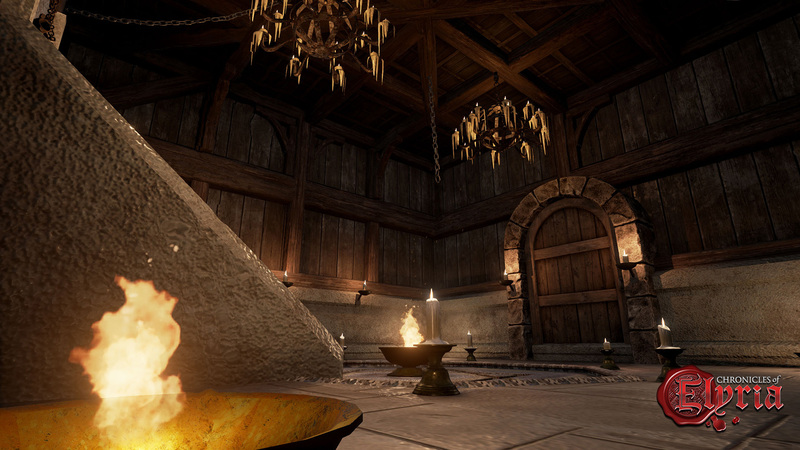 In last week's design journal "Player Housing - Architecture & Construction" we talked about how player housing interacts with the survival, crafting, nobility, and family systems to create a real purpose for player housing. We also talked briefly about how player housing interacts with the inventory system - or rather, the notable lack of inventory space, to create a safe haven to store your personal treasures. But what really makes player housing "safe?" In this week's design journal we're going to talk in-depth about ownership, barriers to entry, hidden chambers, defense mechanisms, and finally damage and demolition of structures. By the time this design journal is complete it should be clear that player housing in Chronicles of Elyria isn't just a neat place to hang family portraits. It's a sophisticated system of player-created dungeons, and ultimately, one of the most innovative sandbox elements in an MMORPG so far. First, much like in our world all land is owned, if not privately by individuals, by the highest government in the land. In Chronicles of Elyria, those governments are (initially at least) the kingdoms. That means that at game launch all parcels of land are be owned by the kings. As a king, however, it's impossible to either defend (or benefit from) such a huge amount of land. So in exchange for taxes or other resources, the kings appropriate land to citizens through one of two methods. Land Purchase: A family or organization of sufficient wealth can take ownership of land by purchasing it from the local Count or Magistrate. Count, in the case of unincorporated land, and Magistrate or Mayor in the case of land incorporated into a town or city. The benefit to this method is it's safe, easy, fast, and gives you the ability to gain access to a large amount of land all at once. The drawback is that land can be expensive. Adverse Possession: If you lack the financial resources, but still want to own land, you can find a parcel of land which is currently unoccupied (or abandoned) and can take ownership of it. This is done by building a structure on the land and then defending it for a full month. Defending means preventing the actual landowner from destroying your structure. Note that the landowner (King), someone appointed by the king (Duke, Count, Sheriff), or someone given a bounty to do so are the only ones that can legally attack/destroy your structure. It's also important to note that this mechanic works the same way whether the existing owner is a king, or another citizen. So if someone buys a parcel (or several) and either doesn't log in for several months or just doesn't pay close attention to what's happening on their land, this is a viable way to reclaim land which was previously appropriated to another player. We'll talk more about this in a future design journal on townships, but in the mean time, in addition to owning land it's also possible to lease property from another player. Leasing is similar to purchasing but has a few differences. First, when you lease land you're bound by a Lease Contract rather than a Deed and are generally limited in the types of structures you can build on the land. In addition, leasing generally comes with rent or other dues in addition to taxes, but doesn't have the up-front cost that purchasing does. The trade-off here is that people who purchase a large amount of land can utilize your services to work the land or pay taxes on it for them so the land doesn't go to waste. Also, by having someone lease the land it's less likely to be squatted on and taken via Adverse Possession. Home ownership is a closely related, but slightly different subject than land ownership. In general, if you own a parcel of land you own the structures on it. This gives you the freedom to both build, as well as destroy things on the land. Similarly, you can say that if you own a building, you own all the rooms inside of it. However, just as you can lease land, you can rent or lease rooms. Leasing rooms is done similar to the way land is leased, using a special Housing UI. Within this UI, which looks like a floor-plan of the house, you can do things such as assign names to the different rooms as well as grant/limit access to different identities or groups of people. The main purpose of this system is to provide rooms in your house for your children, as well as for running establishments like inns. Once you've updated room access, it's possible to create a Lease Agreement which contains a copy of the floor-plan so the leaser knows which room is theirs and what permissions they have. As with many of the systems in Chronicles of Elyria, this is handled with contracts and it’s up the parties involved to negotiate the terms of the Lease Agreement. Will the rent be a fixed amount per in-game year? Will it be a percentage of your total income? What happens if they break something? As usual, it’s up to the individuals to enforce the contract. In addition to residences and inns it's also an obvious system for creating guild halls. You can use the access system to control who can legally enter which rooms, giving you the opportunity to have private libraries, armories, or other things which some guild members shouldn't have access to. That's all well and good but it begs the question how do you keep people out of rooms in the first place? 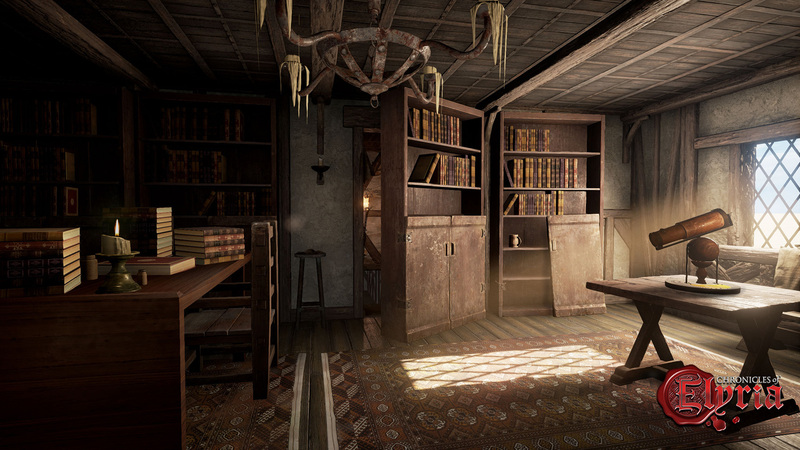 To begin with, Chronicles of Elyria uses a system of keys and locked doors as a way to control access to buildings and rooms. Much like our currency system, keys are physical objects in your inventory. And, if you're carrying your keys around in your pocket and someone knows where you live, they can lift your keys in order to get into your room or residence. Note, that doesn't make it legal, it's just another means of gaining entry that doesn't mean picking the lock, shattering a window, or breaking down a door. Stealing's not the only way to get access to keys however. The owner can also make copies and gift them to people for easy access. Again, having the key doesn't make entry legal, nor does granting someone access automatically give them a key. That's usually done as part of signing a Lease Agreement. While keys are all well and good, and do a decent enough job of keeping people out of your room or residence in more civilized locations, in less populated areas or at night, those of a more deviant nature may still be inclined toward unlawful entry. To mitigate this, there's a number of other things that can be done to either protect your valuables, or to discourage entry outright. As seen in the previous design journal (and in Figure 1), it's possible when architecting your home to create space for hidden safes and rooms. This won't stop those motivated (and perceptive) enough to spend time looking for them, but it will keep your things out of sight when you've got company over. As well, hiding things in back rooms, behind hidden doors, and inside locked objects adds more opportunities for the next type of deterrent! Traps ranging from simple pit traps, to tripwires, to pressure plates, all the way to mechanical door traps can be used by homeowners to help them protect their valuables. Traps make entering a home illegally extremely dangerous because not only do you either need to know where the traps are, or be fairly perceptive, but you also need to have the skills to disarm them! This limits those who can successfully rob you to those with an advanced skillset. In short, someone has to really want to enter your residence if they're going to go through that much trouble. If they do, only the last type of defense mechanism is likely to dissuade them. 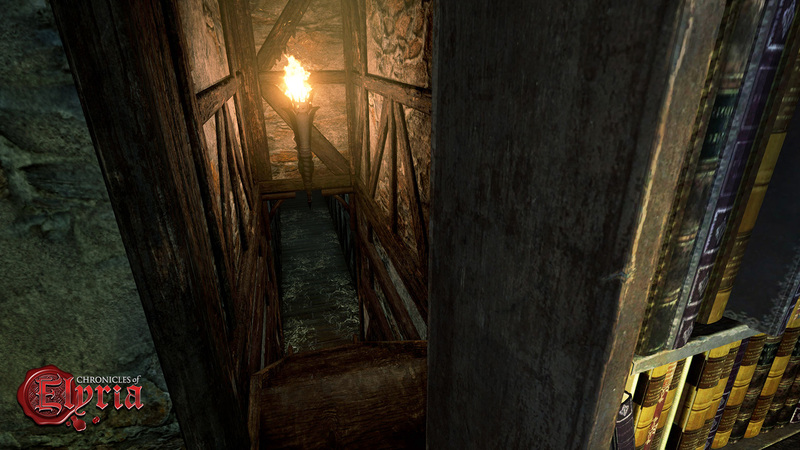 Having the skills necessary to successfully detect hidden doors, as well as recognize and disarm a trap requires a specific type of character. However, that type of character has usually spent the majority of their time training up their deviant skills and may not (read hopefully not) have spent much time in advancing their combat-based skills. If that's the case, purchasing or taming an animal to guard your residence can go a long way toward discouraging unlawful entry. Nothing says "stay out" like a "Beware of Dire Wolf" sign. The more dangerous the animal, the more discouraging they're likely to be. Of course, even animals can sometimes be soothed if you have the necessary knowledge of how to do so. Heck, it may even be possible to train an animal to attack their master. That's why, when worse comes to worse, nothing's quite as good as a trusted companion who can guard your house while they're offline. Barring that, a sell-sword may be willing to offer their services for a reasonable amount of coin. But beware, they usually ask for hazard pay. Up to this point we've been talking primarily about how to discourage people from entering your residence and what you can do to protect your valuables inside. But what if that's not the objective at all? In Chronicles of Elyria, it's possible instead of entering a home, to simply destroy it. When designing this feature we thought long and hard about how easy or difficult we wanted this to be. In the end, we decided that the time and resources required to build a house, guild hall, etc... should make the process of destroying a building you don't own either equally expensive, or equally time-consuming. As a result, we've designed housing so that aside from doors and windows, which can be destroyed easily enough (if you don't mind the noise), the process of destroying walls and structural supports generally requires some form of siege equipment. While it is possible to chop at a wall with a mundane item long enough to put a hole in the wall, doing so would take 10 minutes or more - plenty of time for someone to come and stop you. We did this because we didn't want people running around towns whacking on buildings and leveling the whole thing in a matter of minutes. We felt like destruction of a civilized area should be a planned, organized event with plenty of advance-warning and enough resources gathered to do so. So the most effective way to bring down a town is to build siege equipment at an off-site location and then move it into proximity of the town. Then, fire away! Speaking of fire, fire is a force to be reckoned with and unchecked, has the potential to destroy entire counties, let alone entire towns. As a result, we decided that while we did want fire to be a siege mechanic in Chronicles of Elyria, burning a house or forest down isn't something that can be done accidentally. You can't set a village ablaze solely by tossing a torch on a thatch roof. It requires siege equipment with some kind of flammable fluid to use to toss flaming projectiles. While we know there's more than enough land for everyone in Elyria, we also know that you can't always purchase the land you want to within a specific area. Sometimes you buy a parcel of land and then before you can expand out to the neighboring parcels they're snapped up by other interested homesteaders. As a result, we decided to add a mechanic for building cellars and basements. This gives players the opportunity to not only build out above ground, but also to build out below ground. This has a ton of uses. First, as alluded to in the last section, if you've got a basement or cellar and your village is ever destroyed, you can feel confident whatever you had underground will remain intact. In addition, building down instead of building out makes it that much harder for keen observers to recognize there's a hidden room from the exterior of your home. You can buy a plot of land, put a small house on it, and then build an entire labyrinth underneath with nobody the wiser. While you may have to put up the occasional structural support, there's virtually no limit to how far out you can tunnel so long as you use good, sturdy resources. It should be understood that this allows you to dig tunnels even underneath parcels which are not your own. But be careful, you never know who - or what - may also be digging tunnels. At long last, we've come to the conclusion of this design journal. Rather than use this opportunity to talk about another game mechanic or feature, I wanted to use this opportunity to provide you with a narrative which will, if the rest of the journal hasn't already, lead you to an ultimate realization. You've just started playing Chronicles of Elyria and are at first frustrated with the limited inventory allowed by the survival mechanics. But, before long you realize that you can mitigate the problem by storing the majority of your stuff in a bank box. However, at some point during your time playing CoE you gain access to something so valuable that you no longer trust it in the hands of a bank. For example, let's say you're one of the rare few who discover the secret of becoming a Lich, and you've trapped your soul in a phylactery. You wouldn't want to just put your phylactery in a bank box. The owners of the bank could recognize you as a Lich, illegally go into your bank box, find your phylactery and destroy it. No, that won't do. So instead, probably in preparation for your transformation you buy a plot of land and put a house on it. However, you don't want it to be destroyed by fire, so you make sure to build it out of a nice hard stone. But since your castle is on the outskirts of town, so as not to draw too much attention to it, it could become a target of invading kingdoms. Even having your castle attacked by catapults could put your precious phylactery in danger. So you build your castle, and then build a basement underneath to make sure it can never be destroyed. 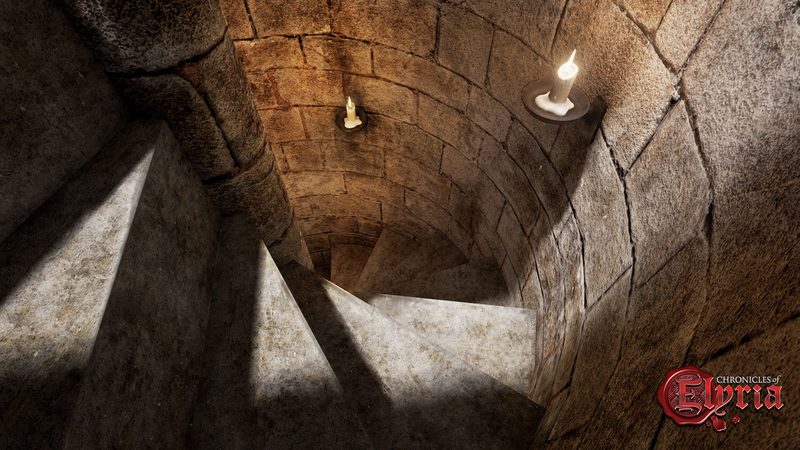 Once you dig your basement you realize that the more rooms and hidden areas that are down there the more difficult it will be for people to find your phylactery. Next, you realize that having multiple storage containers would make it difficult for players to determine which chest actually has your phylactery in it - especially if the basement and chests have traps of varying types. Next, you realize that a good rogue could work their way through your traps and so you decide to either tame yourself, or hire someone to tame some wild beasts for you. Next, since you know those can be bypassed, you hire a gang of thugs to defend your basement, working in shifts to make sure it's protected around the clock. Finally, since you know nobody can protect your phylactery better than you can, you create a sleeping chamber with a large locked chest somewhere in the basement. At night, when you're offline, you make sure to log out in the special room, lost in the basement only you fully know the map for, surrounded by traps that only you and a few others know are there, guarded by sell-swords and wild beasts, inside the basement you created so as to avoid being destroyed during a siege, beneath the stone castle you created so as not to have it burned down, on the outskirts of town so as not to draw attention to yourself. Congratulations, you just created the first dungeon, and you are, for better or worse, the game's first raid boss! This is just one of the many ways Chronicles of Elyria brings player-created content to a whole new level. I believe it would be a great idea to allow you to purchase NPC guards that you can help to get their skills up and then equip them with gear of your choice. Due to the fact that people won't always be there to protect your base from enemies. I disagree. New players are (hopefully) coming to CoE all the time and discovering these design journals are going to be a real treasure trove to them. Of course they are going to want to voice their thoughts so I think DJ's should be exempt from any necro policy. I disagree. New players are (hopefully) coming to CoE all the time and discovering these design journals are going to be a real treasure trove to them. Of course they are going to want to voice their thoughts so I think DJ's should be exempt from any necro policy. Just my two pence. Lichdom ??? You can become a LIch? That's gonna make old age irrelevant. I would wanna hope it is an epic undertaking. That's a pretty legit necro right there. Posted By **Shadowmunk** at 04:02 AM - Thu Jul 12 2018 > > Lichdom ??? You can become a LIch? That's gonna make old age irrelevant. I would wanna hope it is an epic undertaking. That's a pretty legit necro right there. I have to agree though. This is one of the more exciting features of CoE for me. Posted By **Varhukan** at 8:06 PM - Wed Feb 14 2018 > > Epic Epic Necro. xD I have to agree though. This is one of the more exciting features of CoE for me. Question, As a count/Duke/King how would we be able to destroy the buildings of squatters if it always requires siege equipment? I can't wait for the store to come online. My friend and I plan on dropping a decent amount of money in it. Racking up our IP as much as possible till launch. It might be on launch as of yet- depends on the funds they get through the store when it's up. The stretch goals for game content are still in place- only the Kickstarter backer-exclusive rewards will not be on the table for development, those that did not reach the fundraising that is- like the phoenix pet. I was digging through the kickstarter and noticed that the developers kept talking about digging like it was an inevitability. As though if it's not there for launch, it will most likely be added through research and the like. I'm really excited about the digging aspect, and would gladly wait to see it pop up as an update post launch. Thanks Balerathon. I was digging through the kickstarter and noticed that the developers kept talking about digging like it was an inevitability. As though if it's not there for launch, it will most likely be added through research and the like. I'm really excited about the digging aspect, and would gladly wait to see it pop up as an update post launch. I've noticed on the kickstarter that digging underground was a tier that wasn't reached. And as this journal is from December, is digging basements, and underground tunnels, still going to be apart of the finished game? You can become a lich, i now know my true calling in this game, i shall discover the secret to immortality and lay waste to the world with my armies of undead. i shall build a great fortress to protect my phylanctery from which i will command my undead legion, and any who try to stop me shall me added to my army. I've wanted to see an underground sandbox element in a MMO for the better part of forever. I'll be honest, the first thing that comes to mind in all this is Dark Souls. I can easily see a collaborative effort yielding labyrinths on the scale of a DS1/DS3 underground area, like the Profaned Capital. Amazing stuff. I hope this works as described. I see a lot of talk about how your dungeon can be defeated when you aren't there, but the best time to get the Dragon's loot is when he is out and about or asleep. Some sort of reward for providing content to other players would do a lot to counter the loss of your fort. Titles: Lair Builder, Crypt Keeper, Dungeon Master. Insurance you can buy, access to new types of decor, bonus to maintenance on next structure anything to make it so that it's a more of a win win. Amazing stuff. I hope this works as described. I see a lot of talk about how your dungeon can be defeated when you aren't there, but the best time to get the Dragon's loot is when he is out and about or asleep. Some sort of reward for providing content to other players would do a lot to counter the loss of your fort. Titles: Lair Builder, Crypt Keeper, Dungeon Master. Insurance you can buy, access to new types of decor, bonus to maintenance on next structure anything to make it so that it's a more of a win win. The more and more I read about this game the more excited I get. On the point of "Tamed creatures" are all animals etc tameable? Can I go into the forest and find a boar and tame it? I wonder about hunger and thirst for tamed animals if they are in the dungeon won't they starve if not feed? Wouldn't whom ever is king be able to hire an army and some sort of policing force made up of both players and NPCs to protect his subjects from griefers. Plus it seems that with the mechanics described it would take a lot of time to destroy all your stuff or a very obvious force so you will most likly be able to find out about it and be able to defend yourself before they are done making the necisary preparations to pull off a raid as long as you check on your character oftan enugh. It would also help to hire players to spy on potential threats to see if they are planing a raid. Finally it would be really cool if the devs created an in game itam that worked like a camera (example: the cursed eye of some rare creature or a crystal ball) that you could pull up a live feed of on a app on your smart phone so you can keep tabs on your loot stash on the go. Other itams could also be set up like trip wires that send notifications to your phone etc. since your char will be an npc when your gone why not have it set too look form their eyes instead of a rare creature or something that way you are seeing what they are seeing like you would in game. 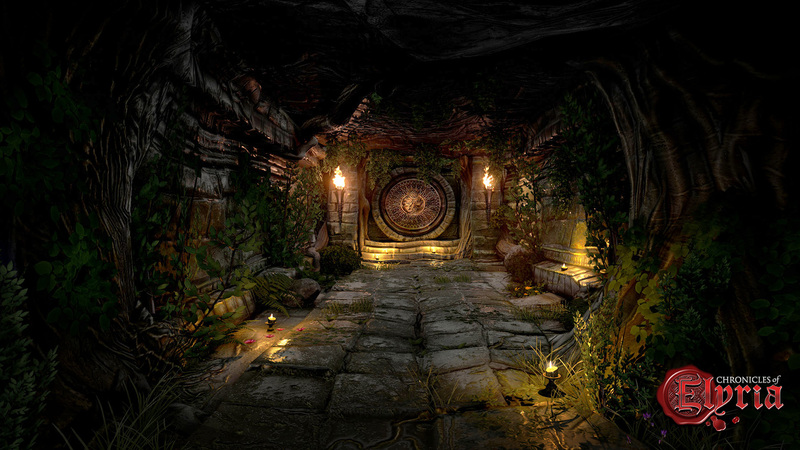 Will you be able to dig a tunnel into someone vault, theoretically bypassing all the defenses? Obviously you would have to know where it is. Theoretically yes, in a poorly designed dungeon. I imagine a lot of underground structures after the first wave will be much better designed, curling around their vaults to protect them on all sides and forming labyrinth complexes that are particularly difficult to explore from the outside. I am ok with having something that I built destroyed, however like your soul gives you a faster learning if you take the same path I would like to see a mechanic that allows you to have insurance on your building so that if destroyed you would be compensated with materials needed or some of the worth returned to speed up rebuilding the same structure again. Otherwise griefing will target homes instead of lives as the structures will take much longer to rebuild at a much greater cost than a simple soul walk. Also I hope that destroying a home comes with an illegal brand as well so that the cost to the attacker is similar to the cost placed on the owner. So possibly related, could you make things like say, greek fire or tnt, go to a bank stick it in a box and have it blow a hole in the wall or destroy the contents of the boxes near it? Does that mean there are also other creatures that could be digging tunnels? Who - or what? Does that mean there are also other creatures that could be digging tunnels? Are people able to build their bases into, say, a mountainside? Everything so far sounds great, loving the dungeon stuff going on. But will there be a way to maybe "replay" a raid on your dungeon? If I am offline and someone decides to ransack me, I sure as hell want to see the aftermath of their failure!!! Surveillance cameras are a bit out of the era, but seeing the result of people attempting to rob your dungeon, or kill you, would be entertaining to say the least. ...and of course, have some kind of pit trap mechanism that drops the bodies into a collection chamber a few hundred feet further underground. Regularly interspersed paint traps throughout the dungeon. Have everything that goes off spray paint on the intruder and their surroundings. Your dungeon will look like a murder scene under forensic lighting XD ...and of course, have some kind of pit trap mechanism that drops the bodies into a collection chamber a few hundred feet further underground. If you're an undead Lich, can you summon your own undead/demonic guards to guard your residence? This all sounds and looks amazing, if pulled off properly. However, I would like to know if there will be any measures put in place to prevent poorly-placed player structures ruining the look of the landscape outside, as well as thoughtlessly placed traps and furnishings ruining the aesthetics inside? If raiding houses or keeps is going to be a key part of the game experience, I really don't want to run into one of these "player-made dungeons" to find an immersion-breaking 100ft staircase leading into nothing but air, or find myself blocked by 600 cabinets, or walk into a house to find the floor is unrealistically made of nothing but trap doors and wall-mounted flamethrowers. In other words, how will you ensure player-made cities, villages, keeps, houses, dungeons etc. are all easy to lay out, and all remain immersive and aesthetically pleasing both on the outside and in? This all sounds and looks amazing, if pulled off properly. However, I would like to know if there will be any measures put in place to prevent poorly-placed player structures ruining the look of the landscape outside, as well as thoughtlessly placed traps and furnishings ruining the aesthetics inside? If raiding houses or keeps is going to be a key part of the game experience, I really don't want to run into one of these "player-made dungeons" to find an immersion-breaking 100ft staircase leading into nothing but air, or find myself blocked by 600 cabinets, or walk into a house to find the floor is unrealistically made of nothing but trap doors and wall-mounted flamethrowers. In other words, how will you ensure player-made cities, villages, keeps, houses, dungeons etc. are all easy to lay out, and all remain immersive and aesthetically pleasing both on the outside and in? Honestly, this kind of stuff would be ridiculous, but it would also be highly amusing to navigate with a skilled rogue character. Imagine how much experience you'd gain disarming or demolishing obstacles as you move through a meta dungeon. So I take it you've never played Dark Souls... Honestly, this kind of stuff would be ridiculous, but it would also be highly amusing to navigate with a skilled rogue character. Imagine how much experience you'd gain disarming or demolishing obstacles as you move through a meta dungeon. Will there be player made empires can for example players expand their land into another players forcibly but still let them leave on it for a fee. Then proceed to keep doing so until he/she has a fiefdom and keep going. Or can players take land from NPC kings eventually then can those players hire npc guards/troops/mayors etc? I know there is a peaceful method but could people theoretically get powerful enough to secede? Will there be player made empires can for example players expand their land into another players forcibly but still let them leave on it for a fee. Then proceed to keep doing so until he/she has a fiefdom and keep going. Or can players take land from NPC kings eventually then can those players hire npc guards/troops/mayors etc? I know there is a peaceful method but could people theoretically get powerful enough to secede? I honestly think it's a good idea, as it'll be more realistic, but I am more concerned of just ganging up on players and raiding? I Love all Ideas for the game and i can´t wait for this. This is the type of building game i love and always wished for. I've played countless hours of Minecraft, Life is Feudal, Rust, and several more. and it was to easy for people to A: destroy what you built, or B: steal everything you ever had. I would agree with most of the people on here that posted. I think investing into the town/city should allow you to get NPC Guards and upgrade them. Everything about this game sounds insanely awesome, but please tell me there will be NPC guards who patrol the streets, if we pay taxes to an NPC king we want something in return. Walls and soldiers to protect from outer threats to keep a city safe is obvious, but also something to keep the city safe from threats within. If a neighbour player or npc hears a window shatter they should be able to tell a guard which will investigate, not putting either the player or npc in danger, if players have to investigate a neighbour's house themselves if they hear a window shatter they'll most likely not do it in fear of being killed by the thief. Also, how easy will it be to spot these traps? If hidden safes can only be hidden behind certain obvious objects it means a thief can walk into a room and be certain which object the safe hides behind. Also, guards should be able to notice signs of trespass when they patrol past a house, and when a thief searches a house some actions should cause sound if the thief is not highly skilled, throwing down paintings on the floor searching for a safe in the wall should make a ruckus and alert people to their precense outside on the street. Anyways, I really, really hope this game gets completed. It sounds like a game I've always wanted to have. 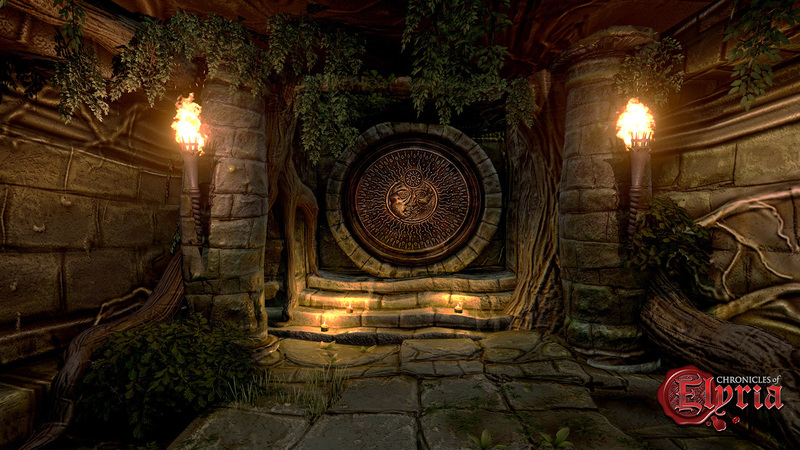 An mmo where you truly have an adventure in a realistic world (with magic and monsters). Only fear is that it will become too conveluted so that a player has to research the game beforehand to know what to do. Or such a long cumbersome tutorial that people lose interest before completing it. Everything about this game sounds insanely awesome, but please tell me there will be NPC guards who patrol the streets, if we pay taxes to an NPC king we want something in return. Walls and soldiers to protect from outer threats to keep a city safe is obvious, but also something to keep the city safe from threats within. If a neighbour player or npc hears a window shatter they should be able to tell a guard which will investigate, not putting either the player or npc in danger, if players have to investigate a neighbour's house themselves if they hear a window shatter they'll most likely not do it in fear of being killed by the thief. Also, how easy will it be to spot these traps? If hidden safes can only be hidden behind certain obvious objects it means a thief can walk into a room and be certain which object the safe hides behind. Also, guards should be able to notice signs of trespass when they patrol past a house, and when a thief searches a house some actions should cause sound if the thief is not highly skilled, throwing down paintings on the floor searching for a safe in the wall should make a ruckus and alert people to their precense outside on the street. Anyways, I really, really hope this game gets completed. It sounds like a game I've always wanted to have. An mmo where you truly have an adventure in a realistic world (with magic and monsters). Only fear is that it will become too conveluted so that a player has to research the game beforehand to know what to do. Or such a long cumbersome tutorial that people lose interest before completing it. You know Cheezer, I completely agree on most of your points. I think they're going to cover NPC roles and how you, as a player, interact with them at some point. I do disagree that the game sounds conveluted because everything seems to be based on real world mechanics. If someone only has a basic understanding of how something works then, from what I'm gathering from these Development/Design Journals, they can basically create it or make it work in game. I also am concerned with having cumbersome tutorials. I, personally, have never swung a sword or chopped down a tree, so I'm excited to get into game to see the mechanics in action! You know Cheezer, I completely agree on most of your points. I think they're going to cover NPC roles and how you, as a player, interact with them at some point. I do disagree that the game sounds conveluted because everything seems to be based on real world mechanics. If someone only has a basic understanding of how something works then, from what I'm gathering from these Development/Design Journals, they can basically create it or make it work in game. I also am concerned with having cumbersome tutorials. I, personally, have never swung a sword or chopped down a tree, so I'm excited to get into game to see the mechanics in action! Looking over the past journals I've noticed that there is nothing on things like mounts,boats and other forms of transportation. I was wondering if this is going to be implemented or may just still be in the thought process. Mounts and transportation will be in a later design journal. They just haven't been the main focus of our journal yet. Seems great. Having a system that avoids needless griefing will be huge in a game like this. Immersion is key, and having a home constantly destroyed truly breaks that! Sound very cool, but as the offline part has plenty of problems. But in a way, I can see the offline player having an advanced enough script to allow their character to defend themselves when offline. But even if the invaders get repelled, there can still be lots of damage. Had that happen to me in ARK, and had to spend the next few days recovering all that was pillaged and to repair the walls and roof. I love these ideas and I cannot wait until it launches. keep up the wonderful work. can't wait to make my own dungeon and hold people prisoner. You will never be able to hold anyone prisoner I don't think. Stopping people from playing the game is a mechanic that noone wants or can be warranted. What fun is there if you are stuck in a cell until another player decides to let you go? How would YOU feel if I locked you up on your real life weekend off? Lets say I lock you up Friday and not let you out until Sunday night? It's called "Loss of Control of your Character." My tribe had lots of prisoners in Ark Survival Evolved. More than I care to admit lol! We put em in cages. Knock them out every now and then to force feed and force heal. Rinse and repeat in shifts, honestly very easy to manage, only need to be checked every 30 minutes, Good way to force people off a server or to accept terms and conditions. That does not look like a good game putting it like that... It makes &quot;the barrier&quot; for new players to join in: if powerful and more experienced (sorry if I spelled that wrong) can capture you, you&#39;d rather find another game. That does not look like a good game putting it like that... It makes "the barrier" for new players to join in: if powerful and more experienced (sorry if I spelled that wrong) can capture you, you'd rather find another game. This all sounds like a lot of fun if it can be created as described. I love in game building and the special permissions for different rooms sounds like it could lead to a lot of good gameplay. Though, I too, am tired of games where my character/base/stuff can be taken/destroyed while I'm not online. "Ark Survival Evolved" is doing a fairly good job of letting players put a lot of defenses in your base, but it's still possible to take someone out that would have been fine if they had also been online. They use tamed dinosaurs like Elyria is describing using tamed animals as guards. Any chance of a system where your base is only vulnerable between x and y times? Being the first raid boss is cool until the first raid group gets to you and finds you fast asleep. I think that you will be able to script it so that your character can work on skills/or just wander inside safe areas so you don't have to take such a big risk being in places where you can easily be killed/looted if you don't want to. I hope so, that would work great since this game doesn't seem to have any mechanics that inherently make you loads more powerful than AI. I still love these ideas but I can't help thinking about survival games where you can build structures. Like Rust. Thing is with Rust, you could make a super fortress and be your own little overlord until you log back in one day and find it has been flattened and looted. Months of love and planning for your baby to be obliterated. My main point is that even with seemingly very advanced defenses, there will almost always be a random group that will appear which could destroy a long time of hard work a dedication simply over night. As someone who loves building in games, this worries me. Those who stay awake in the early hours when online activity is very low can have a lot of time to use to destroy/loot your home. Perhaps NPC guards who patrol streets might be able to pick up break-ins? I feel like I'm having a panic attack.